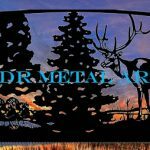 lexington kentucky driveway gates Archives - Custom Driveway Gates - Iron Steel & Aluminum - JDR Metal Art - FREE Standard Shipping! Designed & built by JDR Metal Art for Lexington, KY area property. These Lexington, Kentucky driveway gates were designed for a customer by JDR Metal Art during the summer of 2018. These customers utilized the simple gate design process for us to create this custom gate design. Several revisions were made to give the client everything exactly as desired. 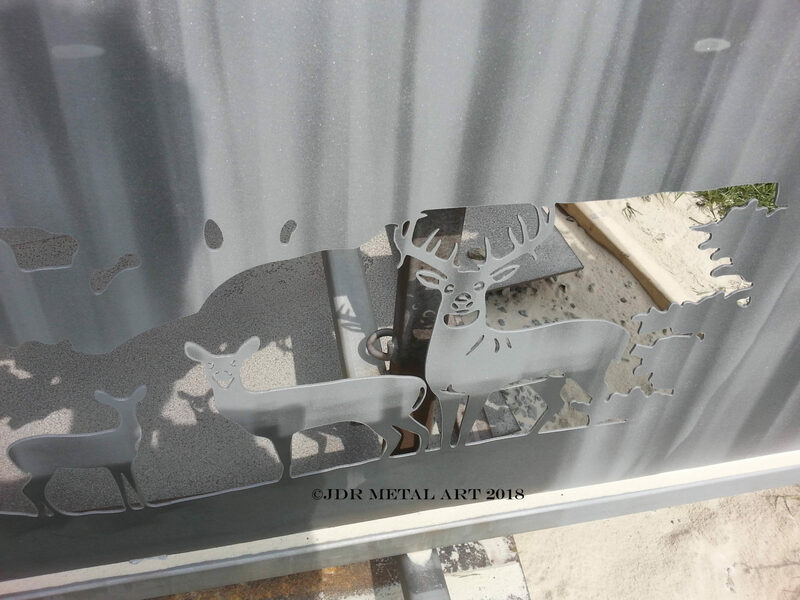 Sandblasting gives the surface of the gate the perfect surface texture for the powder coat to adhere to long term. The scale and rust is removed and a sparkly surface results from the diamond shape of the sandblasting media. All discoloration is removed until only raw steel remains. The near white color is where the raw steel has been blasted free of the mill scale. The darker areas are where the mill scale is waiting to be removed. 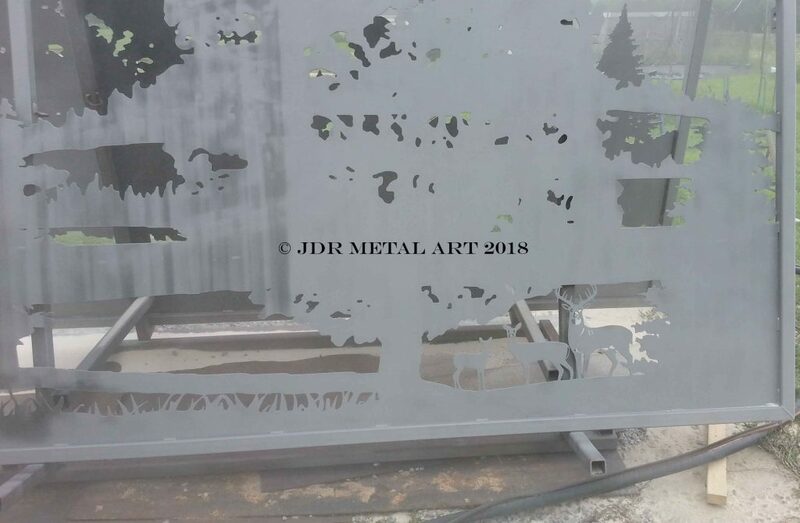 Stacking the gates on racks for sandblasting saves both time and material..the gates at the back of the stack are usually already half stripped to raw steel by the time the top ones have been done. These posts are going to be holding a lot of weight for a lot of time! 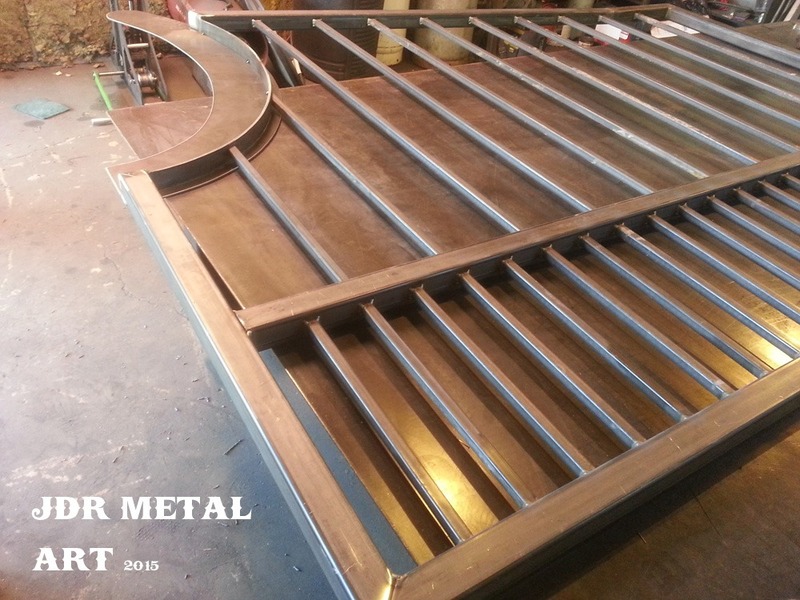 Cut from 1/8″ steel sheet and mig welded in place to the gate arch. Hinges are arguably the most important of the gate…that’s why it’s important to have adjustment built into the gate, as well as incredible strength. 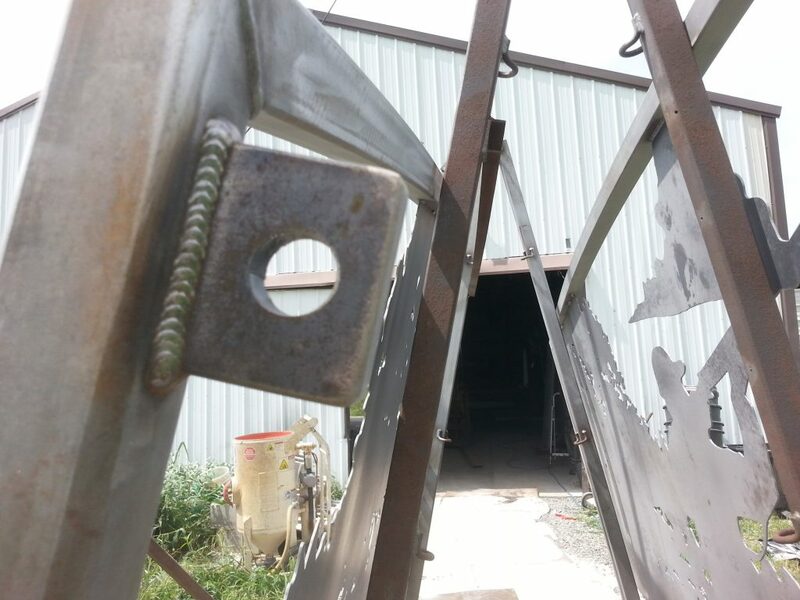 These custom designed gate brackets are cut from super duty 1/2″ thick steel plate with flawless welding to support and distribute the stresses the gate will endure over its lifespan. A threaded rod hinge mechanism will attach the gate to the posts. 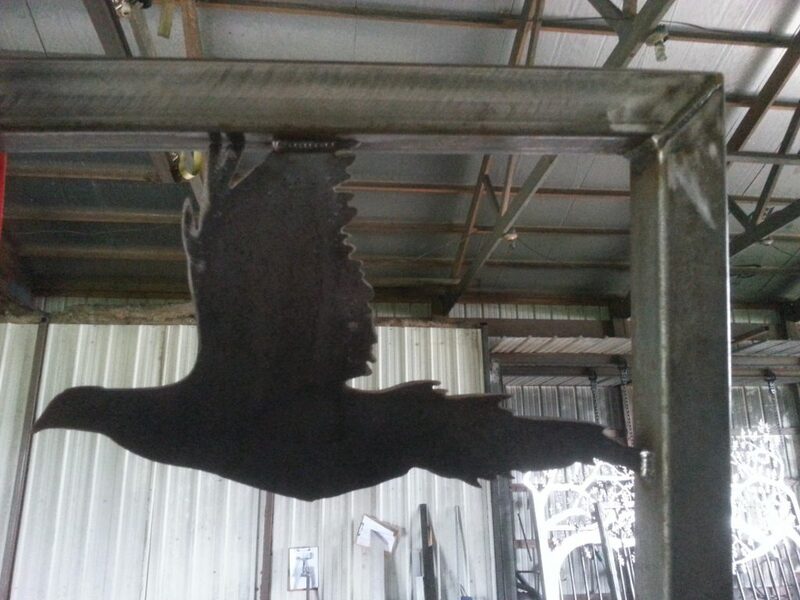 Check out some of our other Kentucky steel gates, custom designed and built by JDR Metal Art. Have an Inquiry? 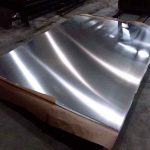 Get a Quote from Us! 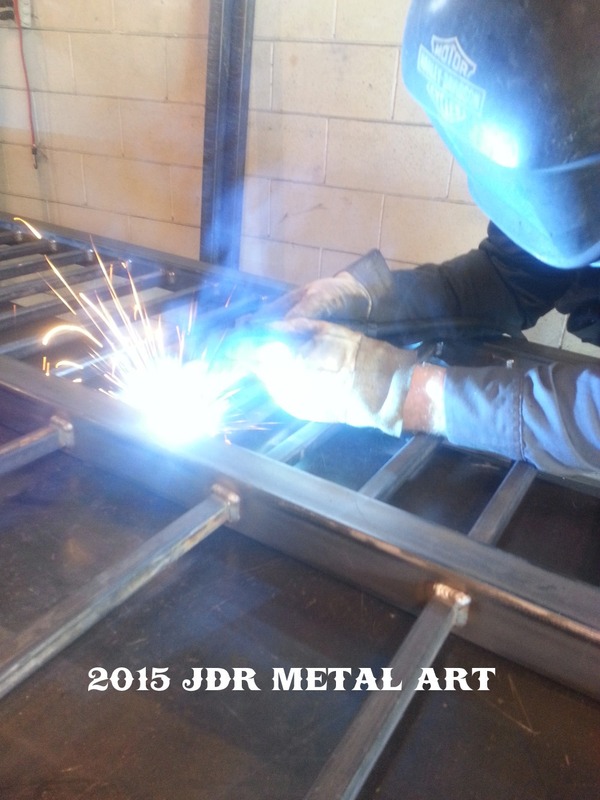 These Lexington KY driveway gates were custom designed for a residential entrance by JDR Metal Art. Being a dual-swing gate, each gate panel feature three race horses. A prominent horse shoe is in the center when the gates close. Each gate panel is approximately 7′ wide in order to span the customer’s 14′ opening. The top of the gate is about 7′ tall. We worked with our client over the phone and via email to establish the design he wanted for his entrance. He is a horse farrier in the Lexington area and we were glad to be able to design a gate for him that really reflects his special background! Welding up the pickets on one of the gate panels. We use square tubing for the pickets and each picket is welded solid at all joints. 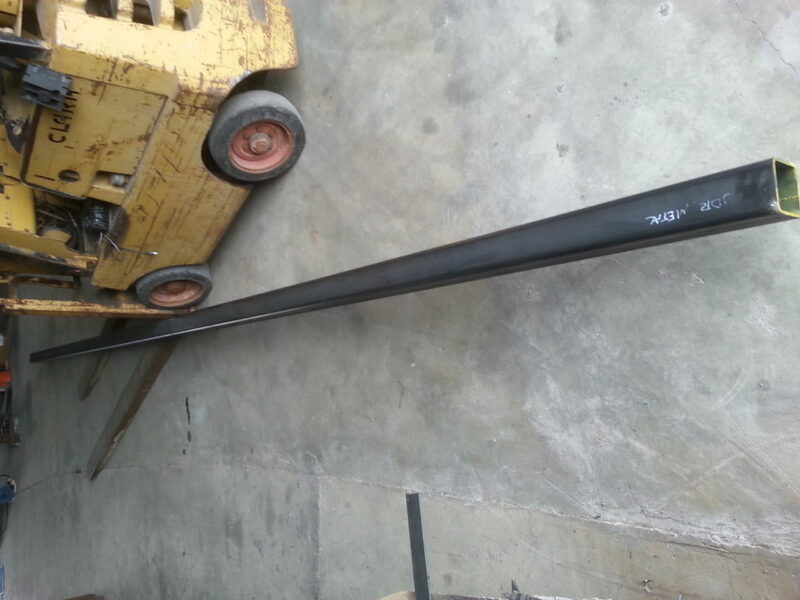 We use a larger square tubing for the main frame of the gate panel. 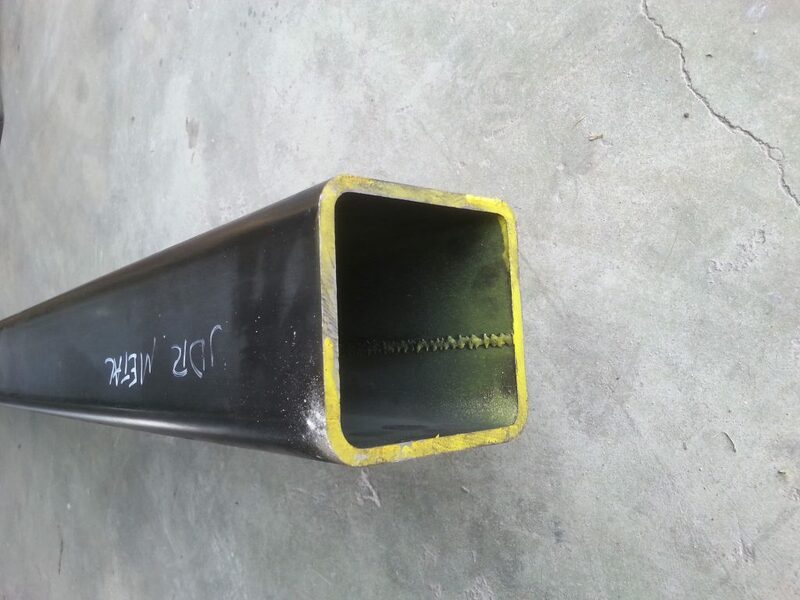 We use heavy gage tubing because lighter gauge materials used by other companies are less robust when it comes to being bumped around over the years. And it usually comes back to getting what you pay for! Picture of the back side of the gate, before we welded it up and cut the “nail” holes on the backing for the “horse shoe”. A lot of time and effort goes into making all those welds look nice and pretty! Here are the race horses which we plasma cut by hand. We use a plasma torch that is made in the USA by Hypertherm. They were sandblasted and then sprayed with zinc rich primer, chrome base coat and then a clear coat for a three layer powder coat finish. Lexington KY Driveway Gates…Or Anywhere Else! We build custom driveway gates for people from all over the United States, not just Lexington, KY! Wherever you live, let us design and build a gate that you won’t be able to get anywhere else. We deliver our gates by freight or haul them to you ourselves. Of course you can also pick your gates up yourself from our shop in Ohio if you don’t mind making the drive to see us! To get a personalized quote now simply fill out the form below or give us a call or email!